Why not make your child's birthday extra special this year by having it at Clonfert Pet Farm. We cater for all size parties and you get to enjoy it too, it’s the perfect stress free solution. 🐰EASTER HUNT 2019🐰 Join us this Easter for a fun filled day out celebrating the opening of our brand new area at the farm and say hello to all our new arrivals along with some very special guests!. Here at Clonfert Pet Farm we strive to ensure a fantastic fun-filled day out for you and your family that is great value for money. 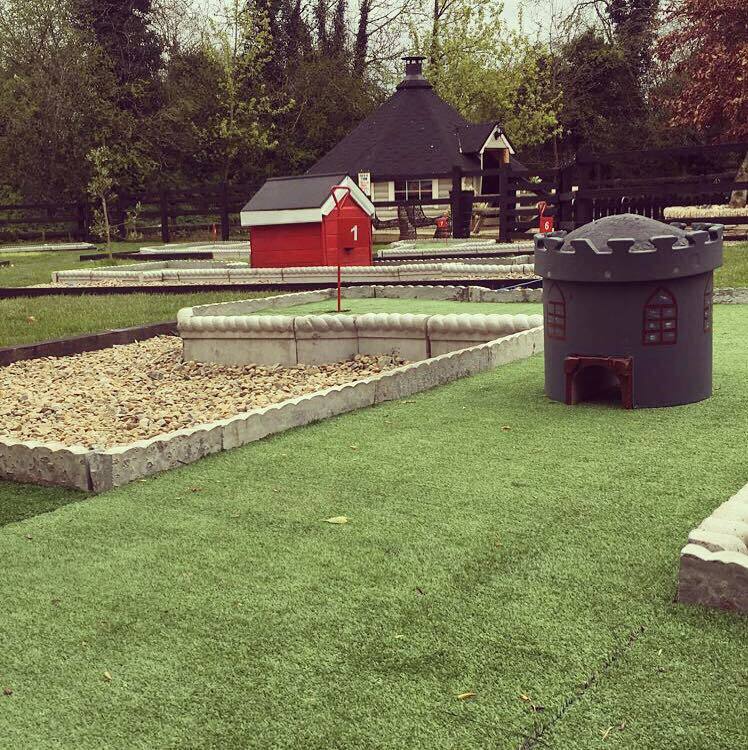 As well as all the animals we have 2 outdoor playground areas both with bouncy castles, an indoor play area, mini golf, go karts, a football pitch, plenty of picnic areas and lots more to keep your family entertained. We have a huge variety of everyone's farmyard favourites; we have cows, ponies, donkey, pigs, goats, sheep, ferret, peacock, puppies, ducks, turkeys, Geese, hens, bird avery. During lambing season the children can get up close and can bottle feed the baby lambs. For those that favour the more exotic animal we have Llamas, Rhea, alpacas and wallabies. Sometimes, on the farm there are animals that the children can interact with like feeding the lambs or holding the rabbits. With lovely walkways around the farm and plenty of picnic and seating areas, if the weather permits, it is always enjoyable to be out in the fresh country air. There are two outdoor children’s play areas with swings and slides and always a favourite with the children is the permanent bouncy castle. We also have outdoor Go Karts the children will enjoy! We have added a great new mini golf course, great fun for both kids and adults. Indoor Soft play area: Newly renovated! Whatever the weather we have you covered at Clonfert Pet Farm. Don't let a few drops spoil your plans. Your family can always enjoy our great new 600sq ft indoor soft play area. Your children will love this. It's a great way to spend the time waiting for the rain to pass. After all, food always tastes better in the fresh air! At Clonfert Pet Farm there is no shortage of perfect picnic spots to spread a rug for an al fresco feast. Bring your picnic or alternatively, we also have a coffee shop serving hot food, drinks, snacks & ice creams. All you need to do is sit back & relax. 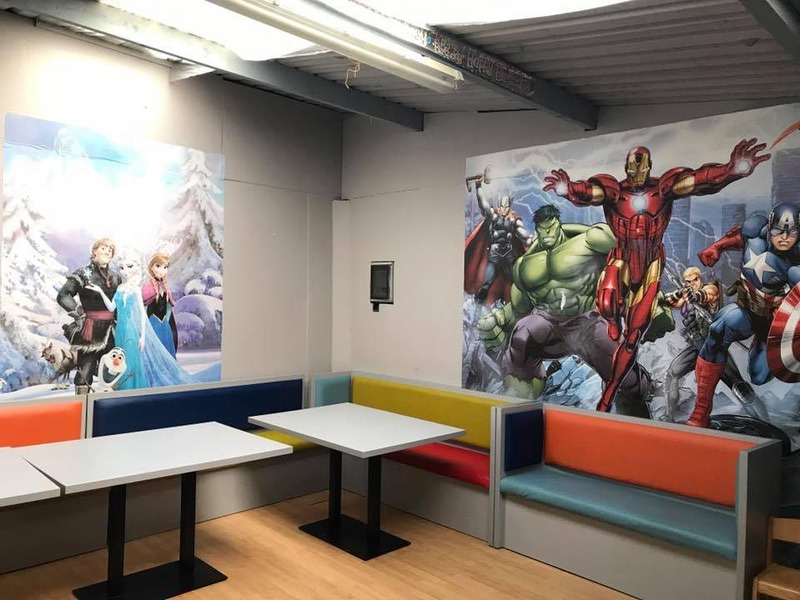 Check out our newly installed BBQ Hut that can seat up to 25 people, this is an ideal private area that can be hired out for all sorts of family occasions. inside there is a central BBQ pit surrounded by cushions. Cost per day: €50 (exclusive of admission fee). Why not make your little kid’s birthday extra special this year by having it at the pet farm, we cater for all size parties and you get to enjoy it too, it’s a perfect stress-free solution. Adult Admission for parties is free. We cater for school tours: pre-school, primary and special needs. We provide a safe and educational environment for the children to experience and learn about all the different animals. During lambing season children can feed and pets the new baby lambs. There are two picnic areas for the children to sit with friends and refuel before they set off again for more fun on the farm. Teachers are free and will be treated to complimentary tea and coffee. If you wish to make an enquiry for any of our events phone Joan on 085-1728186 We also cater for all guides and scouting group trips. Clonfert Pet farm is located in the North Kildare countryside only 25km from Dublin and 8.3km from Junction 7 (Maynooth Exit). Directions: From the M4 Maynooth Junction 7, at the roundabout take 2nd exit heading Southwest on Straffan Road/R406.Take the first turn right off this road at Taghadoe cross (Electricity Station) Continue straight until you come to a church on your right, go straight through this cross.Continue straight until you come to a crossroads take a right at this crossroads. Take the first turn left off this road continue 1km and you will find the pet farm located on your left-hand side. It is signposted all the way. We hope you have a safe Journey! Please be aware that we do not accept credit cards. Admission fee includes access to all areas entry to the farm and animals, use of all outdoor play activities including Bouncy Castle and go-karts and entry into the indoor soft play area. There is an extra charge of €2.00 per person for the use of the mini golf. We welcome back our Halloween event. Visit the HAUNTED STABLES and walk the spooky graveyard. Also facepainting and entertainment by Gretta Smarty Pants, childrens disco, and more! Regular Admission applies on the day: Family €15, Single €5, 2 and under go free! We also welcome Katie onboard the team here at Clonfert. Katie will be educating children on reptiles, holding hourly talks on the different types of reptiles whilst giving the children hands on experience to hold them. We will be celebrating 8 years open with the big man visiting on 2nd/3rd/9th/16th/17th December. This event is strictly booking only, you can book by calling 0877660290. ???????? Join us for a day of Christmas Magic, visiting Santas Workshop, Cowshed theatre and of course Santa and Mrs. Clause. ???? €15 per child, Adult €5, 2yrs and under €5. Great place, lots animals, play area indoors and outdoors.